Folded profiles are required for many applications. A wide range of bending punches, dies and special tools are available for use with the universal bending machine MultiBend. Straightening profiles and welded constructions is part of everyday work for many metal processing operations. Using the MultiBend it is possible to straighten profiles quickly and precisely. 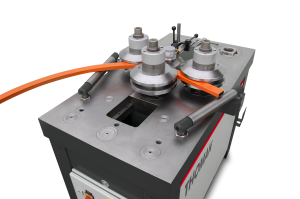 The MultiBend offers a special straightening cycle for this purpose. This makes straightening particularly quick and efficient. 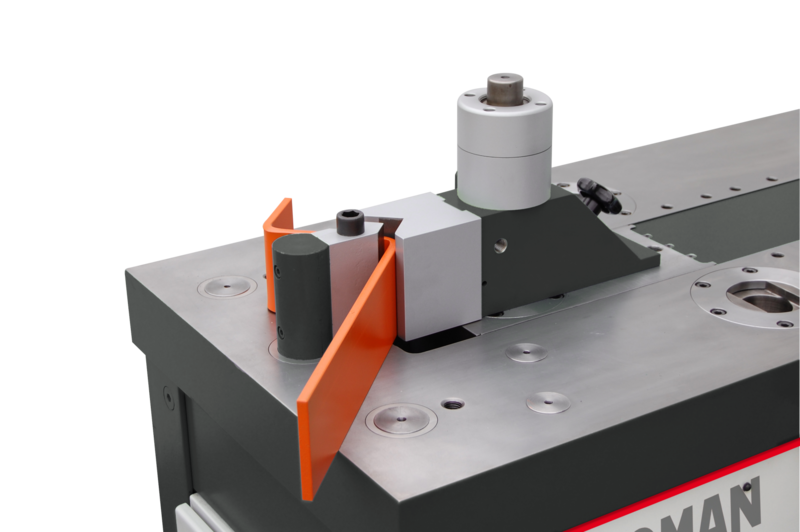 The working platform of the MultiBend is equipped with multiple slots for accommodating the counter supports for straightening. A straightening bar with adjustable counter supports is optionally available. The press bending process is suitable for producing elbows from thick-walled tube. 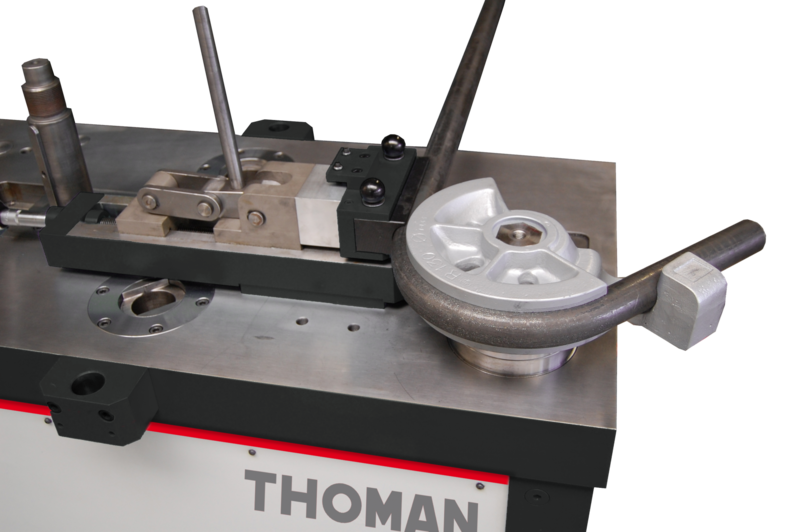 Tube bending segments and counter supports for standard dimensions can be obtained from Thoman off the shelf. Customer-specific special tools can be supplied. Elbows with bend angles of > 90° are particularly easy to produce with the rotation tube bending process. The bend angle can be programmed directly and bending according to the required bend angle is possible in a single working step. The powerful roller drive is equipped with three separately driven rollers. The maximum motor torque is available to each drive roller. 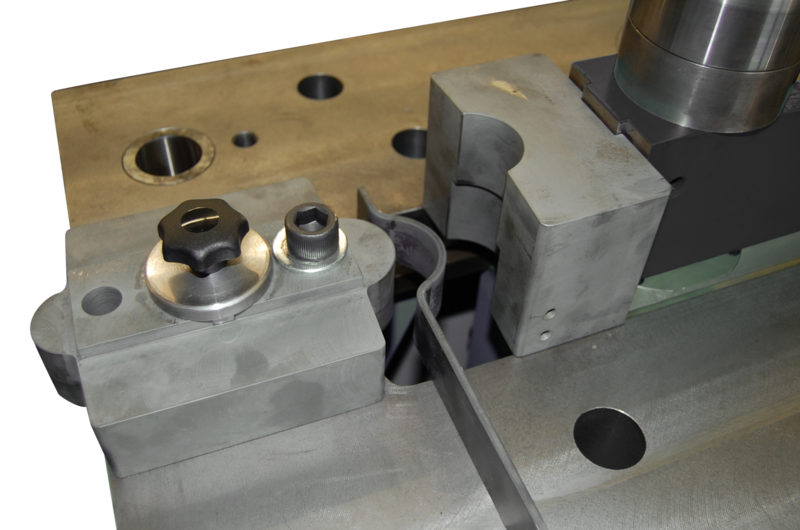 Even heavy-duty profiles can be rolled to the target radius during the first pass through the rollers. The maximum in productivity and perfect bending results are guaranteed. Special requirements demand special solutions. Get in touch with us. Our design department develops special tools for customer-specific requirements.